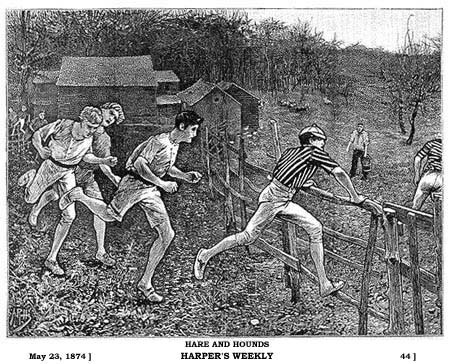 Hashing has been around for centuries, initially in the form of a venerable English children’s game called “Hares and Hounds.” Hashing as we know it began in 1937 in Kuala Lampur, Malaysia. 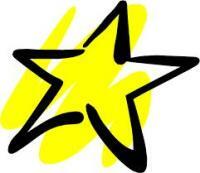 It was founded by A.S. Gispert, a Spanish-British accountant who was an officer in the British Army Reserve. As an escape from boredom, and as an enjoyable way to stay in shape (if there is such a thing), Gispert and his friends got together regularly to play an adult version of Hares and Hounds that involved beer drinking. After each run, the group would retire to the Royal Selengor Club Chambers, an eating-and-drinking establishment frequented by British Commonwealth personnel. However, due to its not-so-tasty food, it was popularly known as the Hash House. Soon they were calling themselves the Hash House Harriers, and such were the origins of the El Paso Hash. Shortly after World War II ended, the surviving members resumed hashing. About that time, one of the charter members, “Torch” Bennett, filed a petition with the postwar Japanese government and amazingly, received financial reparations for two dozen pewter beer mugs and assorted other items that had been stolen by Japanese soldiers in 1941. The original group hashed regularly from 1937 to 1941, when war broke out with Japan. They managed to complete 117 runs before other matters required greater attention. Sadly, our founder A.S. Gispert, was killed in action at about 4 a.m. on February 11, 1942, while serving with the British Army during the Battle of Singapore. From there, the Hash slowly spread around the world and continues to grow in popularity. If you should happen to see any of these crazies r*nning down your street, please do not be alarmed, for they mean you no harm. However, you may want to safeguard your liquor cabinet as a precautionary measure…On-On! 1. 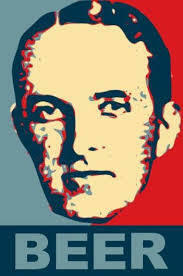 Albert Stephen Ignatius Gispert, the father of modern hashing. 2. 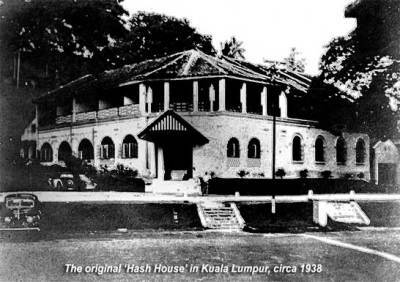 The “Hash House” as it appeared in 1938. It was torn down in 1964 to make room for a highway.